Click Tribe is another adventure type point and click game on armorgames. Apparently, a tribe has a problem the plagues the people of it. As the leader of the tribe, you must find a way to solve this by finding items and solving puzzles. Navigate around using your mouse and use items in the right places. 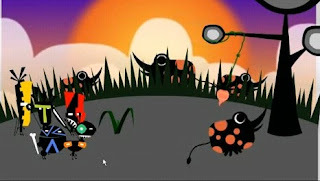 It features nice art style, good music background and well done animation. For the walkthrough, here is Click Tribe walkthrough showing the solution to the game.